Spend any time reading tri and cycling blogs, sites, or … paper magazines (yes, those still do exist) and you may start to think you are living in Westeros – Winter Discs are coming. Disc-brakes may have started on the mountains, but they have trickled over to the road side of things. First masquerading as brakes just for cyclocross, but then they started showing up in World Tour races (and even won a few stages of the tour). And with the introduction of the Cervelo P5X and the DiamondBack Andean, they are now in transition. But there is a good chance that, up until now, you haven’t ridden disc either on the road or off. And, depending on where you live, your buddies haven’t either. 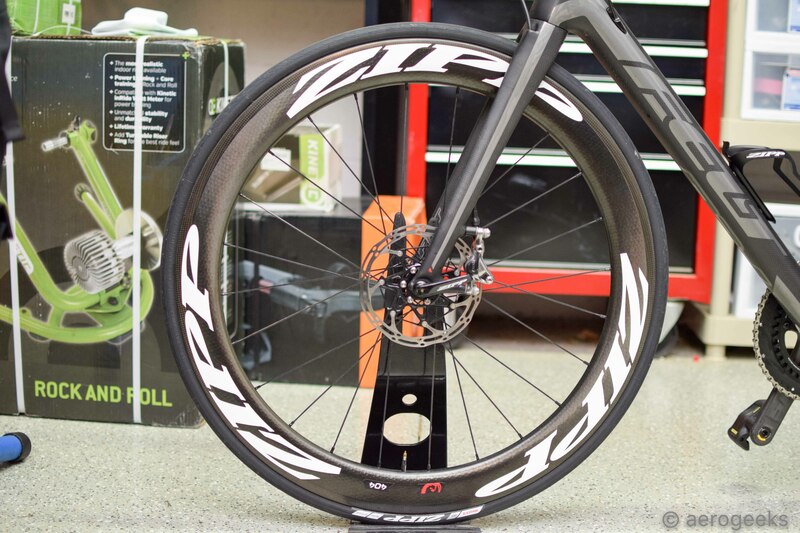 So when Zipp offered up the chance to loan us a Felt Z2 with a 404/808 Carbon Clincher Disc-brake setup, we jumped at the chance! The Firecrest shape itself was designed to not just account for the air hitting the front half of the wheel, but the air at the back half as well. Those familiar with a standard toroidal wheel shape will notice that the Firecrest has a less pronounced bulge and maintains a near-constant width almost all the way to the spoke bed. The 404 measures 26.53mm at its widest and is 58mm deep. The 808 measures 27.5mm at its widest and has a depth of 82mm. 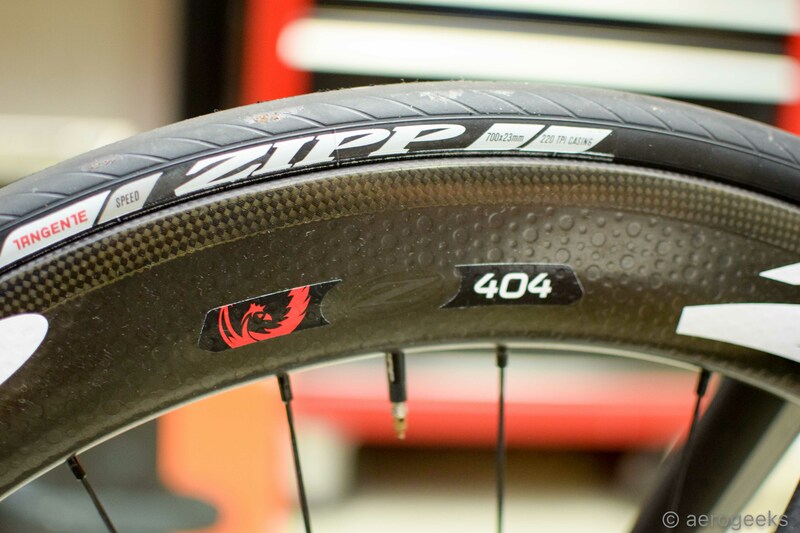 Both the 404 and 808 wheels get Zipp’s 77/177D hub set. With the 77/177, the breaking preload is preset. The hubs are thru-axle compatible and come with thru-axle end caps that can be swapped by hand – Front: 12x100mm & 15x100mm- Rear: 12x135mm & 12x142mm. The 808 Firecrest Disc-brake wheelset comes with a standard 10/11 speed driver body for SRAM/Shimano or for Campagnolo, allowing you to run a wide range of cassettes. For those looking for a wider gear range, or tackling especially extreme terrain, a SRAM XDR driver body for 177D (sold separately) is easily installed to allow for more cassette options. A 1.85mm spacer is included with the XDR driver body and is required for use on the 177D hub. XDR driver body compatible with 11-speed cassettes only. 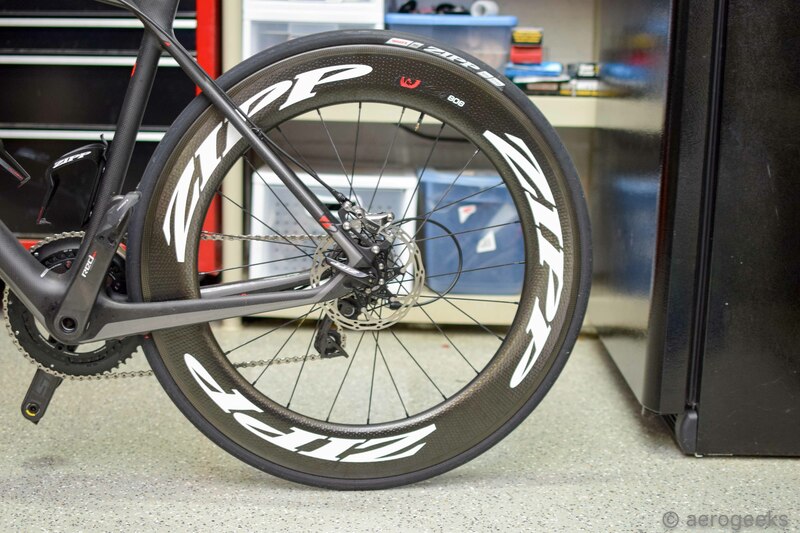 Each wheel includes two sets of Zipp thru-axle end caps, one Zipp skewer, one Zipp rim tape 700c X 20mm, and one Zipp core valve extension per wheel. When it comes to riding with the 404 and 808 Disc-brakes, they feel like a standard 404 and 808. If you have ridden with a rim brake set, don’t expect any difference. We stated previously about the rim brake 808: “In consistent crosswinds you rarely, if ever, notice the deepness of the wheels. Only when you are hit by a strong gust do you remember they’re there, and that’s only for the second needed to re-stabilize the bike.” And riding the Disc brake versions didn’t change that at all. But what did change (obviously enough) was the braking. Disc-brake bikes stop when you want to, how you want to. 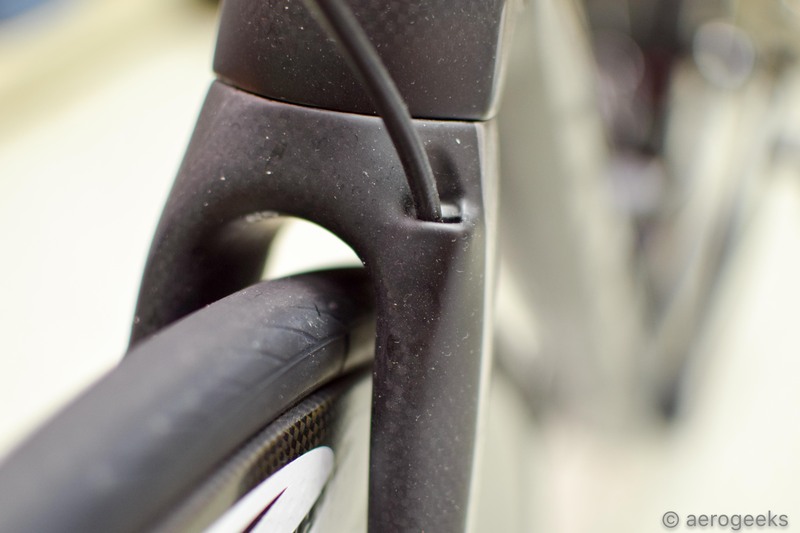 When making the change from rim to disc brakes, the first ride can literally be jolting. You have to rethink how you modulate and how hard you grab the brakes. If you are coming off a pair of wheels whose braking surface consistently requires you to fully grab the brakes, you will quickly learn that that’s a bad idea with disc brakes. Doing so would result in a very quick stop, and probably an unfortunate series of events—and that’s in dry conditions. With rim brakes, when the going gets wet, you used to have to start braking double the distance you did in the dry. 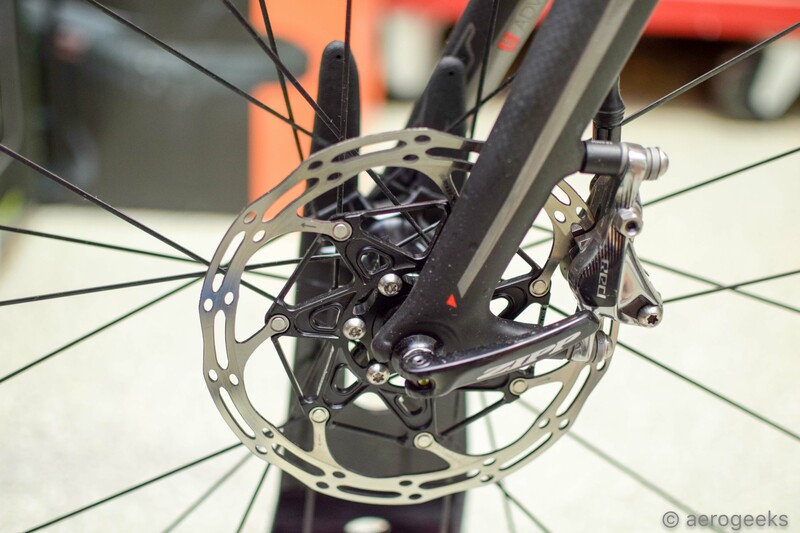 Your new disc brake bikes shrug the water off and simply tell you to ride pretty close to normal. For those that like to dive into a turn and hold off braking until the last minute, you are going to love the switch to disc brakes. You can easily gain a few bike lengths in just those few hundred feet simply because you can hold off slowing down. Which is where the real conversation of Disc-brakes in triathlon starts. With that, let’s get the two big questions out of the way… Are discs going to be in triathlon for a long time? The answer is yes. Do you need them? No, but that doesn’t mean you shouldn’t or won’t get them. Wheel companies have bought into disc-brakes big. 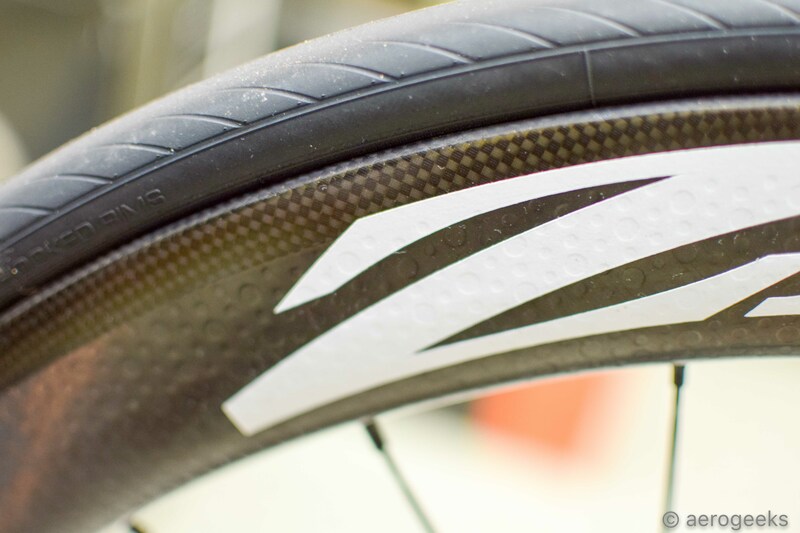 Both HED and Zipp now make Disc-brake equipped disc wheels. That is hugely telling. Already one of the major bike companies (Cervelo) has released a triathlon bike with disc brakes. And judging by what we saw at the Tour de France, Cannondale is not far behind. Disc brakes are going to be here for a while. But do you need them? That is going to come down to stopping power and condition preferences. Do a lot of training in tough weather conditions? A disc-equipped tri bike may be for you. Ride a lot of technical bike courses? The combination of brake modulation and stopping power will be your friend. The bike that best fits you is only available with disc brake? Yep, you are going to go disc then, too. 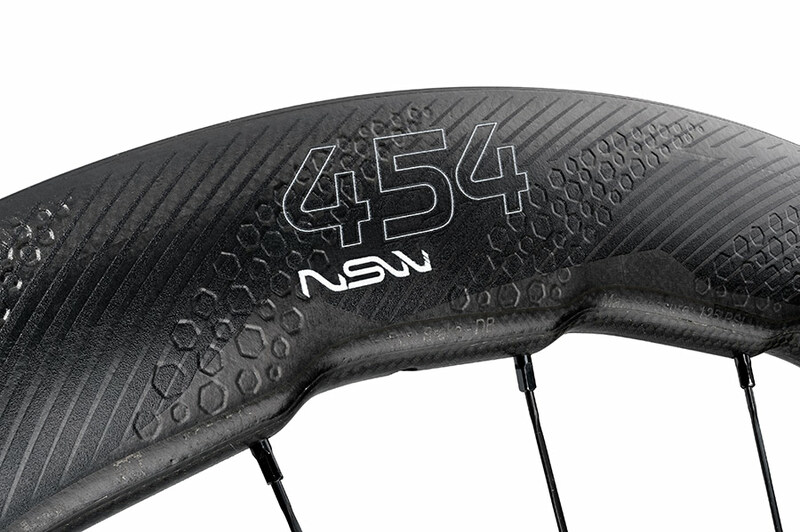 But for others who have already made investments in rim-brake-equipped frames and non-disc wheels, you may end up holding off for a bit…or forever (and a standard 404 and 808 may serve you just fine). From an aerodynamics perspective, the switch to disc brakes offers some very interesting opportunities. No longer do manufacturers have to build around a pair of brake calipers. The air flow through the front fork can be that much cleaner. We have only scratched the surface with what frame designers can do with disc-brake-equipped frames when it comes to aerodynamics. Consider that both the P5X and Andean are only the FIRST generation of disc-brake triathlon bikes. The next generation may get even crazier. Which brings us to our one and only dislike of the 404 and 808 disc-brake wheels – they are still using the rims of their rim brake brethren. Which means that ABLC (dimpling) only extends as far as where the brake track is. 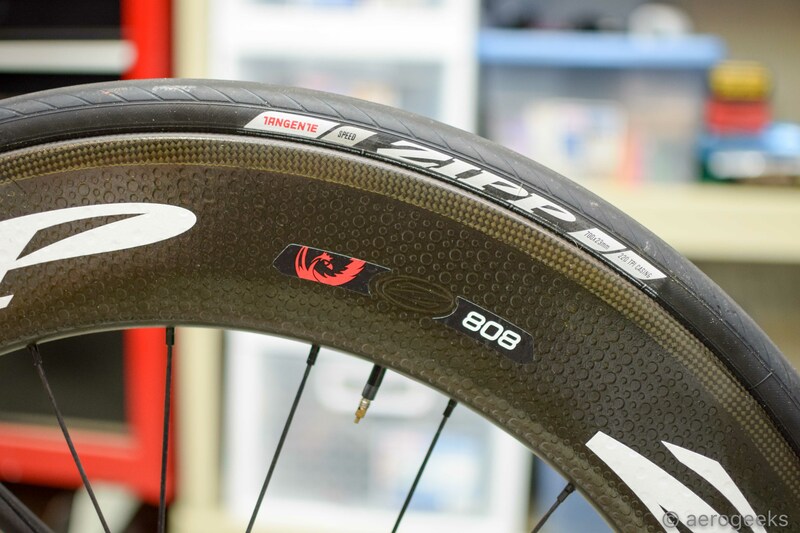 But look at the Zipp 454 NSW Carbon Clincher Disc. Notice how the dimples extend the full face of the wheel? That is the future of disc-brake-equipped wheels. At the leading edge where the wheel first interacts with the wind, designers no longer must be limited by having to include a brake track. We think some very cool designs and innovations will spring from that. Discs are here, and they are here to stay. 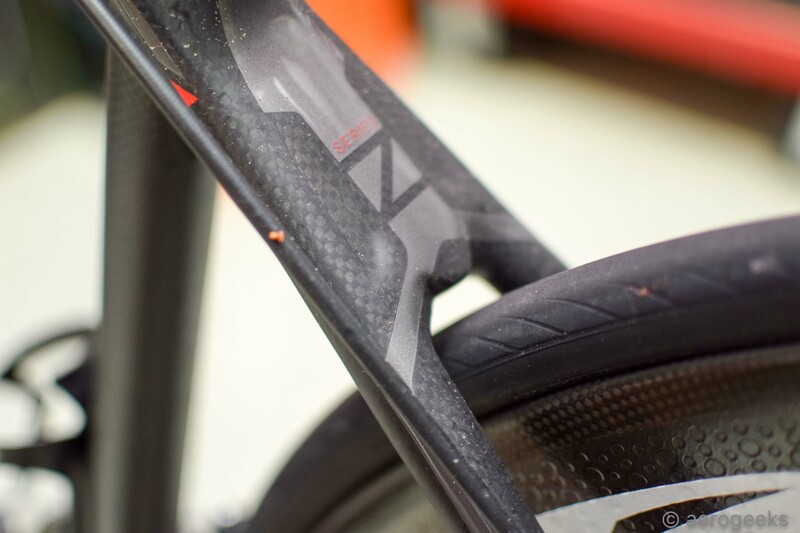 By starting with a rim shape that has been there and done that (and by “that,” we mean winning Kona and stages of the Tour), and adding disc brakes, Zipp has a simple but winning formula. And for those who haven’t had a chance to ride disc brakes, we definitely recommend a trip to your local bike shop to demo a set.